Proper nouns are nouns that refer to specific entities. Writers of English capitalize proper nouns like Lucknow, India, Ravi, Priya. 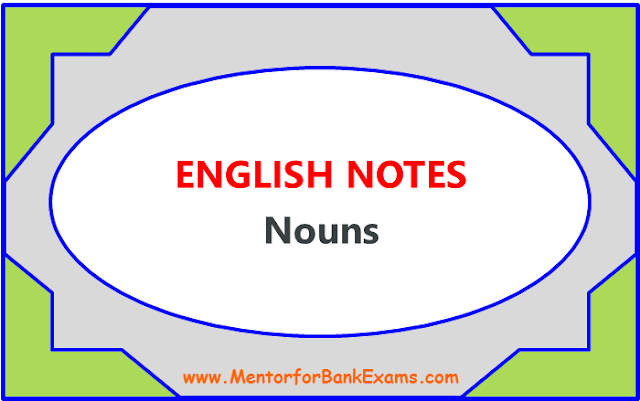 Common nouns refer to general, unspecific categories of entities. To linguists, these count nouns can occur in both single and plural forms, can be modified by numerals, and can co-occur with quantificational determiners like many, most, more, several, etc. However, cup can also occur in the plural form. I want to have two cups of coffee. In this example, the noun cups refers to more than one cup as it is being modified by the numeral two. In addition, countable nouns can co-occur with quantificational determiners. I want to have several cups of coffee. This sentence is grammatical, as the noun cup can take the modification of the quantificational determiner several. Conversely, some nouns are not countable and are called uncountable nouns or mass nouns. For example, the word water is a mass noun. This sentence makes grammatical sense. However, the following example does not. The bucket is full of waters. Mass nouns can not take plural forms, and therefore a sentence containing the word waters is ungrammatical. Substances, liquids, and powders are entities that are often signified by mass nouns such as wood, sand, water, and flour. Other examples would be milk, air, furniture, freedom, rice, and intelligence. In general, collective nouns are nouns that refer to a group of something in a specific manner. Often, collective nouns are used to refer to groups of animals. Consider the following sentences. Look at the gaggle of geese. There used to be herds of wild buffalo on the prairie. A bevy of swans is swimming in the pond. A colony of ants live in the anthill. In the above examples, gaggle, herds, bevy, and colony are collective nouns. Concrete nouns are nouns that can be touched, smelled, seen, felt, or tasted. Phone, table, bag, salt, and wool are all examples of concrete nouns. Your bag is looking very beautiful. Please pass the salt. Your sweater is made of fine wool. Concrete nouns can be perceived by at least one of our senses. More ethereal, theoretical concepts use abstract nouns to refer to them. Concepts like freedom, love, power, andredemption are all examples of abstract nouns. They hate us for our freedom. All you need is love. We must fight the power. In these sentences, the abstract nouns refer to concepts, ideas, philosophies, and other entities that cannot be concretely perceived. Most singular possessives are formed by adding an apostrophe and “s.” If the noun is plural, the possessive form becomes “s” and apostrophe. Rule 1 : The following words are uncountable and are normally used in the singular form only. The indefinite article "A or An" Should not be used with them. They have no plural forms. 'A/An' not used before them. Ex : Luggage / Baggage / Breakage / Advice / Furniture / Information / Scenery / Poetry / Work / Soap / Food / Bread / Fish / Paper / Machinery etc. Rule 2: The words such as "News / Maths / Ethics / Politics / Phonetics / Economics / Statistics / Measles / Mumps / Rickets / Billiards / Innings" look like plural nouns but give singular meaning. So, they take singular form of verbs. Cattle / People / Police / Electorate / Poultry / Trousers / Scissors / Spectacles / Binoculars / Crackers / Swine / Gentry / Clergy. All these are used with plural form of verbs. Rule 4 : After the phrases One of / Some of/ Each of / Either of /Neither of / Any of / None of, a plural form of a noun is used. Rule 5 : An "Apostrophe" and 'S' should be used with living beings only to show possesion.